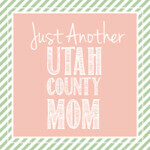 Wooden monogram letters for your nursery are super popular right now, but can be expensive too. Customized letters with cute patterns to hang on your nursery wall or display in their room can cost up to $15 a letter! 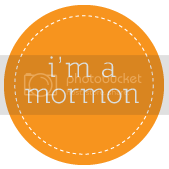 It is very easy to do these yourself for just over $2 a letter. 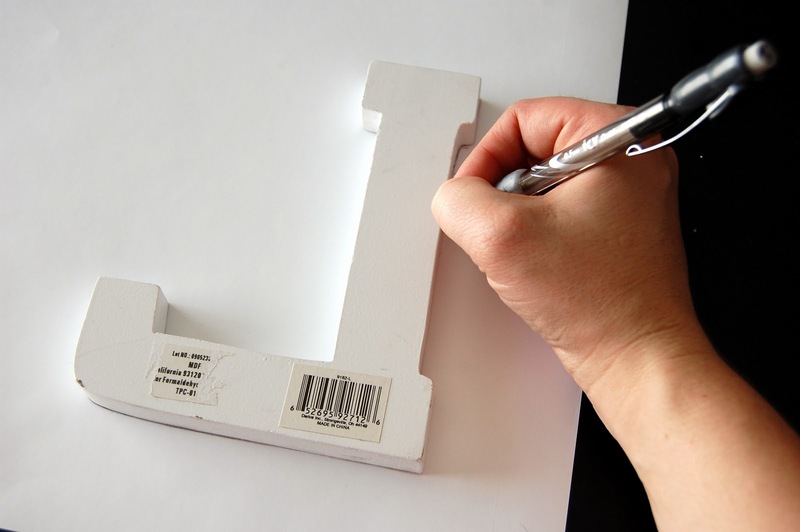 At craft stores, you can buy pre-cut wood letters for about $2 a letter. I got mine at Joanne's, and they were already pre-painted white which is what I wanted. You can get an unfinished version as well and paint it yourself if you want the sides and back to be another color. I picked out scrapbook paper to match the theme and colors of Lily's nursery. I could do 2 letters on each sheet so I only needed 2 sheets for Lily's name. I turned the letter over, and traced the shape on the wrong side of the scrapbook paper. I cut out the shape, and used Mod Podge to secure it to my letters. Never used Mod Podge? 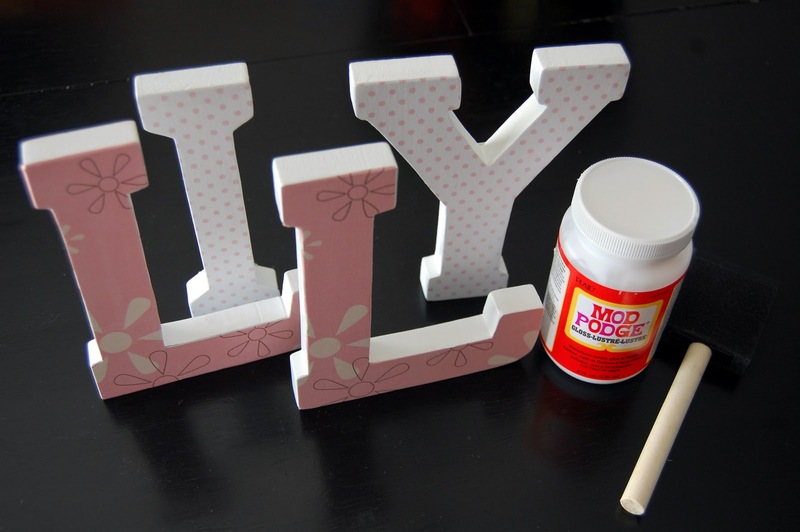 Just use a sponge paint brush to brush the Mod Podge over the letter as a "glue". Put the paper on top, making sure to line up the edges. Paint another layer over the top of the paper to finish and seal. That's it! You're done! In less than 1/2 an hour you can have your own personalized monogram wood letters for your child's room or nursery. Most people hang these over their child's bed or crib, but I chose to display mine on Lily's bookshelf. CUTE! I want to do that in my little girls room. Visiting from Tip Junkies link party. Really really cute. I am thinking I want to write "cupcake" in my kitchen. I really like the font of these letters so I will have to check out JoAnns! these rock! and you make them look so easy. thanks for sharing! Adorable letters!! So glad you linked up to the Tuesday To Do Party! Those letters came out very cute. I am decorating my two year old niece's room and I will definitely add this to my to do list. I would love for you to come and link up to my Fall into Fall party that opens tonight at 8pm EST. Hope to see you there. Your letters came out beautifully! The wooden letters are very expensive here in Australia. Wish we had a shop like Joanne's Down Under!